Wine of California, U.S.A. 2014 Denver International Wine Competition U.S.A. - E.U. - gold medal. Consistent quality, proven value. 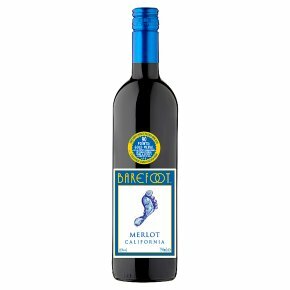 Barefoot Merlot is packed with the tempting flavours of blackberry, raspberry and chocolate and is silky smooth. Great served with beef, poultry, pasta with tomato sauces, cheese and dessert.